Alcohol addiction, a physical and psychological dependence on alcohol to get through the stress of daily life, is a crippling disease that can destroy lives. And yet, millions of people addicted to booze have jobs, responsibilities, relationships, and active social lives. These functional alcoholics have homes, cars, and a stable income. Some have mansions, Bentleys, and earn triple your salary. Let’s bust some common myths about functional alcoholics. Picture a functional alcoholic. Who do you see? Thanks to pop-culture, probably an unshaven guy with a grizzled expression, stinking of cheap whiskey, late again to his dimly lit corporate cubicle. If you picture a woman, she is probably eccentric, outspoken and middle aged think Meredith Palmer from The Office (US version) who ingests hand sanitiser for its alcohol content. Occupations with high risk of alcohol addiction often involve serious responsibility, long hours, and lots of alone-time. And while it is scary to imagine that the surgeon holding a scalpel or the banker trading your stocks is secretly buzzed, high-stress jobs increase the risk further. Miners can earn a high income, but must work long, irregular hours of physically demanding and dangerous work in isolated locations. Depression and other mental health disorders are increasing in this field and some miners self-medicate with alcohol. 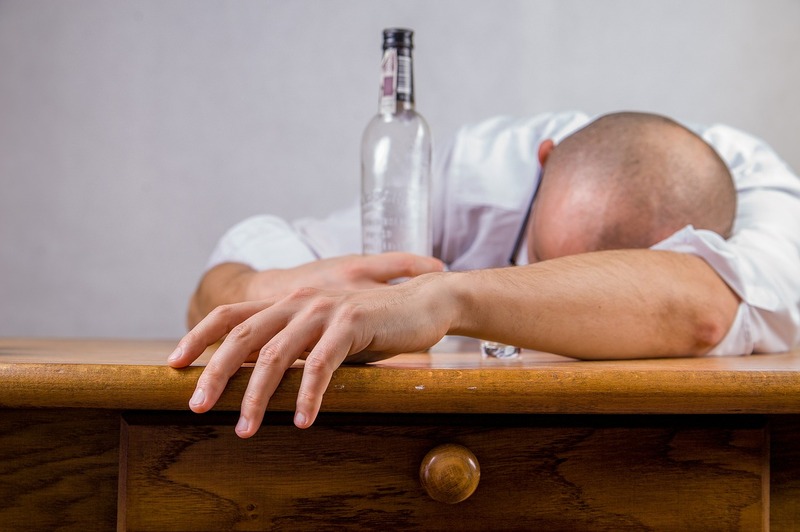 The Alcohol and Drug Foundation reports that 80% of Australian miners drink alcohol and approximately 50% of these people are misusing alcohol. Blue collar workers and labourers also report higher levels of alcohol abuse. Functional alcoholics can be wildly popular, go to the gym, and enjoy a varied range of hobbies, too. They are intelligent, hardworking, and successful. Clearly they are in control of their lives. It is much easier to appear in control and successful than it is to admit you Have A Problem. Plus, functional alcoholics in high-salary jobs must wear a mask of professionalism, making detection even more difficult. They can conceal their addiction. An outsider can never be sure if someone is addicted to alcohol. You need alcohol to get through the day. You deny being addicted to it. You need alcohol before work or social events to feel relaxed or confident. Your loved ones express concern about your drinking. You hide alcohol inside your car, desk drawer, and other secret places. You drink alcohol with your breakfast or instead of your breakfast. You struggle to keep up with your responsibilities. Sound familiar? Please talk to a non-judgemental addiction professional. It is the best way to find out if you or someone you love has an addiction to alcohol. So, functional alcoholics can have great jobs, relationships, and social lives. They seem just fine! What is the problem? Long term alcohol abuse always catches up with you eventually. It could be a drunken injury, hypertension, heart disease, stroke, cancer, liver disease, depression, sleep disorder, STI, ruined relationship, unemployment, or homelessness. It is very important for functional alcoholics to seek treatment. Have you seen The Hunger Games? Middle-aged Haymitch is a former Hunger Games victor, coach to Katniss Everdeen and Peeta Mellark, and a barely functional alcoholic. He trips off a stage on national TV, vomits copiously inside a luxurious train, and gives useless, sarcastic advice to the tributes. When he realises Katniss and Peeta could actually win, he stops drinking while he helps them toward victory. He drinks again when he returns home to his old triggers, but it seems like he is able to just stop whenever he truly wants to. Haymitch can change from an alcoholic who falls drunkenly off stages to mostly sober without seeking treatment despite being back in the incredibly stressful Hunger Games training rooms and Capitol. You have probably seen an alcoholic try to quit and fail repeatedly. Asking them to just stop is like asking a fish to breathe out of water. Long term alcohol abuse changes your brain, making you feel anxious and stressed when you stop drinking. Unsupervised detox is uncomfortable at best and lethal at worst. Psychologically, alcoholics drink to cope. Take away drinking, and how do you cope? All the things you drink to avoid are still there but now in alarming, sober clarity. You can quit. Let professionals help you reroute your thought patterns of addiction and share effective, healthy coping strategies and techniques so you can finally heal. The Dawn offers affordable, state-of-the-art inpatient alcohol detox and alcohol addiction treatment in the heart of Chiang Mai, Thailand. Our experienced staff understand the unique challenges faced by functioning alcoholics. We tailor every treatment programme to suit your unique needs, desires, and goals.